After the cycling comes the party. 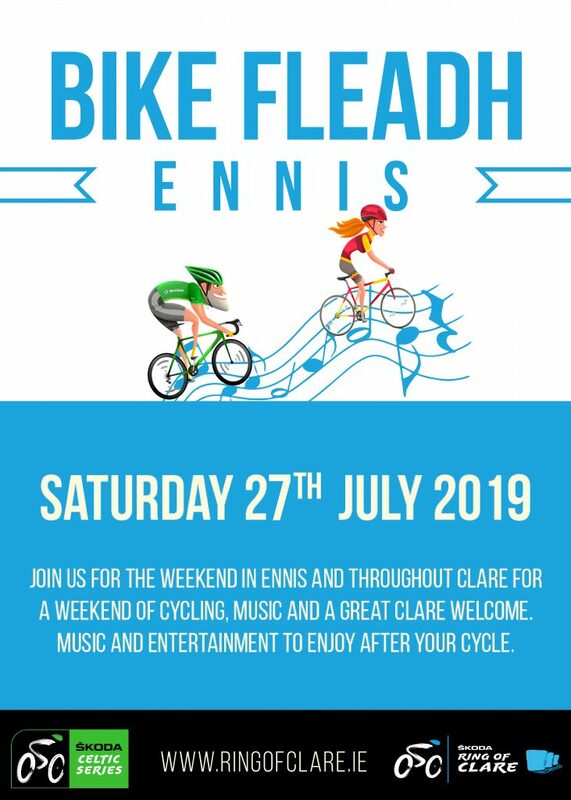 Ireland’s freindliest town, Ennis will provide a wide schedule of entertainement at the third SKODA Ring of Clare Bike Fleadh, a programme of entertainment throughout pubs in Ennis. 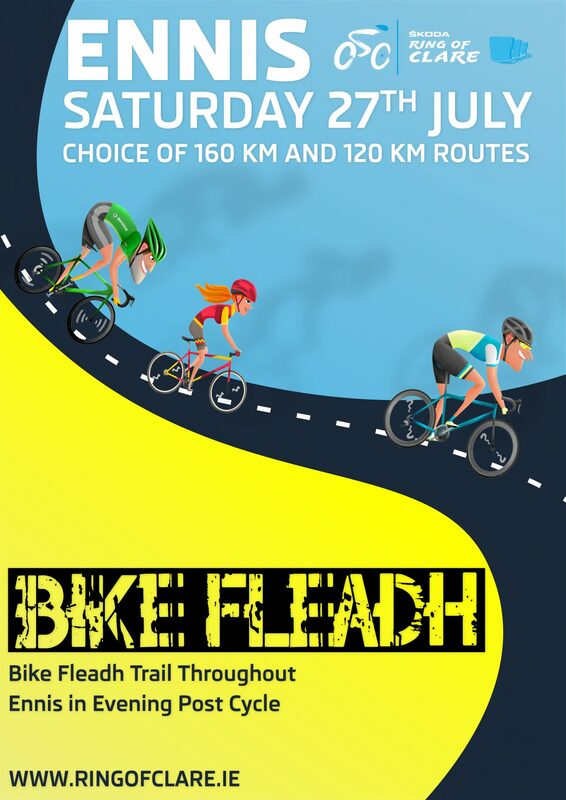 As the host town to the 2019 Munster Fleadh Cheoil, cyclists have a chance to sample what made the town of Ennis special with the Bike Fleadh Trad Trail kicking off throughout the town with plenty of entertainment options available. The following will be updated as we get closer to the day but gives you a flavour of what to expect. There will be plenty of après-cycle craic in Ennis on Saturday July 27th. Here is a sample of what was on during the 2018 Bike Fleadh – expect some more this year. From 8.00pm: Trad Session @Cruises Bar, Abbey St.
From 9.30pm:	Trad Session @Fawl’s Bar & Beer Garden, O’Connell St.
From 10.00pm:	Trad Session @Poet’s Corner/Old Ground Hotel, O’Connell St.
From 10.00pm:	Trad Session @PJ Kelly’s Bar, Cornmarket St.
From 10.00pm:	Trad Session @Ciaran’s Bar, Francis St.
From 10.00pm:	DJ @Brogan’s, O’Connell St.
From 10.00pm:	DJ @Knox’s, Abbey St.
From 10.00pm:	DJ @ Yolo, Abbey St.
From 10.00pm:	DJ Blackie @Nora Culligan’s, Abbey St.